CoAM’s Fall Life Enrichment Series starts on Monday, February 3rd and is held every Monday until February 24th. Presented by a representative of Beacon Inter-faith Housing Collaborative. Several CoAM congregations work with this organization to develop housing for homeless people. Includes the Johnson Space Center, the still controversial Oil Rig Museum at Corpus Christi, the LBJ Ranch, the huge King Ranch, the Little Rock Clinton Library, and maybe a typical Texas house, including front porch with couch, refrigerator and gun rack. Presented by Grant Stevenson. With the merger of three Minnesota organizations in 2000, ISAIAH was organized to bring about “justice for all,” focusing on racial and economic inequities, and by acting together to find and empower solutions to social issues through faith and democratic principles. GREAT DECISIONS:Trade, Job, and Politics: What Is at Stake? by Todd Lefko, President of the International Development Council, an import-export firm. He has homes in Minnesota and Moscow. Trade deals, tariffs, outsourcing are up for grabs with the new administration. What are possible consequences? TRAVELOGUE:Germany and Poland on the Eve of the Celebration of the Reformation’s 500th Anniversary presented by Dean and Janet Anderson of Bethel Lutheran Church. by Dan Burow, retired pastor, editor, writer. This year millions of people the world over will be celebrating the 500th Anniversary of the Protestant Reformation. Who was this man that started it all? Why did he do it? What were the results— short term and long term? Should Lutherans celebrate or do penance? Presented by Ruth Aaskov, retired professor, Augsburg College, and chair of CoAM’s Life Enrichment series. With more coastline than any other French province, Brittany harbors not only many fishing villages but also picturesque farms and historic sights. by Lyall Schwarzkopf, former member of the Minnesota State Legislature and frequent CoAM presenter. presented by Larry and Mary Ellen Nielsen, frequent CoAM travelogue-ers. Here’s a spring bouquet for all Scandinavians — except for two groups: one, once natives of a volcanic island. If you’re one of the left-out groups, do come anyway..
By Steven and Barbara Swanson who have spent the past 12 years working in Antwerp, Belgium, with refugees and immigrants from all over the world. They will present the challenge and opportunity of reaching out to such “newcomers” with true friendship and love. Presented by Dan Burow. These three cities, nearly buried in the communist zone of Germany for 45 years, are being rebuilt while trying to preserve their ancient heritage: Dresden, fire-bombed almost out of existence toward the end of World War II; Leipzig, made famous by composers Bach and Mendelssohn; Wittenberg, where Luther served as monk, priest and professor —and accidentally set off the Reformation. Presented by Norma Noonan, retired Russia Scholar and Political Science Professor, Augsburg College. A few years ago the future of the European Union appeared certain. But beginning with the immigrant crisis, the Brexit surprise and Russian maneuvers to intimidate weaker states of the EU, things are unraveling. What does the future hold for Europe now? Tour led by Rick Steves and includes Seville, Andalusia, Granada, the Alhambra, Gibraltar from bottom to top, and if time permits across the Straits of Gibraltar to Tangiers in Morocco. 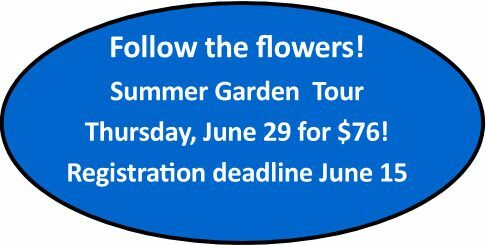 Join us for this tour and stay afterwards for our fundraiser luncheon.